The L 'UVA room is a double room with private bathroom, occupies the entire second and last floor of the medieval tower, and is therefore very panoramic and has the maximum privacy. 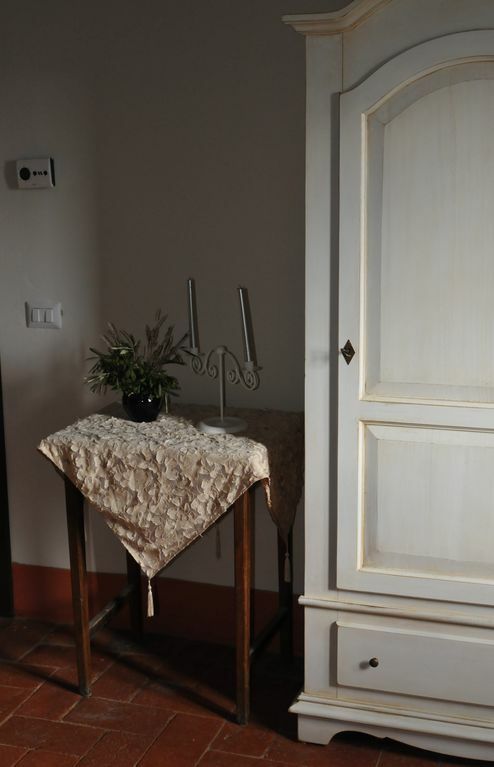 The B & B is located in the green hills of Fiesole, but only 10 minutes from the city. To go to the historical center of Florence, without using the car, take the train from the station of Compiobbi (1.5 km from the house) and in 10 minutes you arrive at your destination.